I just got finished using this tent in Colorado and Wyoming winter for 7 nights. With the exception of one glaring issue, I really dig this tent. The set-up is reasonably easy, but there are a few gotchas that you have to remember or you'll get 75% of the way done and have to undo all the poles to get the cross-members UNDER the spine. This is clear in the written directions, but suffice to say it's not fool-proof, especially when it's cold, dark, windy, and you're tired. The directions say that the fly needs to be fastened to the tent poles with small patches of velcro to ensure "proper tension" of the fly. 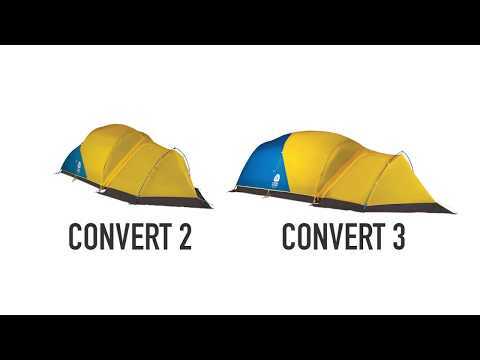 This is an unfortunate step for a 4-season tent, as it requires a delicate touch before the fly is completely secure--a tall order in sub-ideal conditions. I rarely accomplished this step in the cold, but the fly seemed to perform just fine (although I never experienced exceptional winds). My biggest complaint about this tent is that when the temperature dips below 0-10 deg F, the shock cord in the tent poles loses elasticity and becomes excessively long. You then have to take a gloveless hand to bare metal to delicately push the now useless string into the pole to get all the segments together. The shock cord is now working against you as it tries to push the pole segments apart while you attempt to affix the ends to the corners. If you set up the tent in warmer temperatures, it behaves normally. To say the least, it was frustrating and potentially dangerous to have to deal with this well below freezing. The tent stakes that come with this tent are superb for most conditions, and given the poor quality of most original stakes, I was pleasantly surprised. However, if you find yourself beating on them with your avy shovel to get them in frozen ground, expect them to bend as mine did. I appreciate the storage system of this tent. 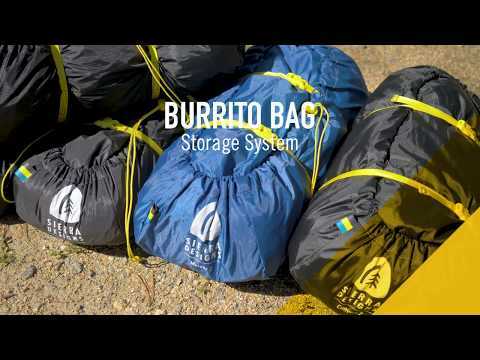 The burrito bag is awesome and allows you to compress the tent into a package 75% the size of tents smaller than this. I do wish the bag were just a little bigger, because getting everything into it takes a lot of coaxing (and sometime coercing). Eventually it all fits, though. The buckles on the compression straps can be frustrating with gloves and don't function at all if snow gets in them. Livability is fantastic. Being 76" myself, it is plenty long and has lots of room for my foot-shorter wife and our 60 lb dog. The vestibule is big enough for all our gear plus cooking space. 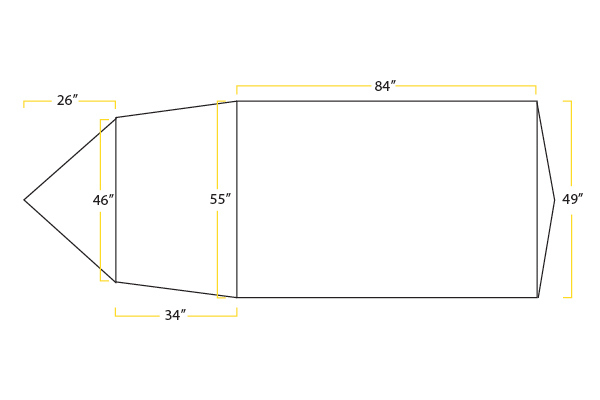 There are only two pockets inside the tent, though, and they are relatively small. It would be nice to see more of them. The ventilation is great: you can open up the entire front door and half the rear of the tent to mesh fabric. The tent body fabric seems breathable enough that with the ventilation, this is truly a 4-season tent. I haven't noticed any signs of wear, and the tent floor is reinforced where it seems it ought to be. It's held up quite well so far and although I haven't had the opportunity to test it in wicked conditions, I am fully confident that it will stand to a load of snow and wind.